Known as Charles, the Mad King. This person was the king of France from 1380 to 1422. He was so mad that he often forgot that he was the king of a country. He had multiple episodes of mental illness and many people even thought that he was not fit enough to rule a country. There were times when he forgot his own wife and kids and did not take bath for more than five months or so. Talk about being mad? Lincoln was perhaps the most trusted President of the United States of America. Lincoln suffered from a condition wherein even if all the things were sailing smoothly in his life, he felt depressed from time to time. This was not considered to be a thing related to his mind at first. But when the things were getting out of hand, the medical condition was proved. Vincent Van Gogh is known as the crazy artist. He was known to have epileptic seizures due to prolonged usage of absinthe, which is known to be highly alcoholic. He was known to have several conditions due to the acute usage of the drink. Even with this condition, he was known to be a great writer and his letters are still found in many parts of the world. Ernest Hemingway was a prolific person with the background of winning renowned prizes including the Pulitzer and the Nobel Prize. He was a great personality, who fell for the habit of Drinking and became depressed. 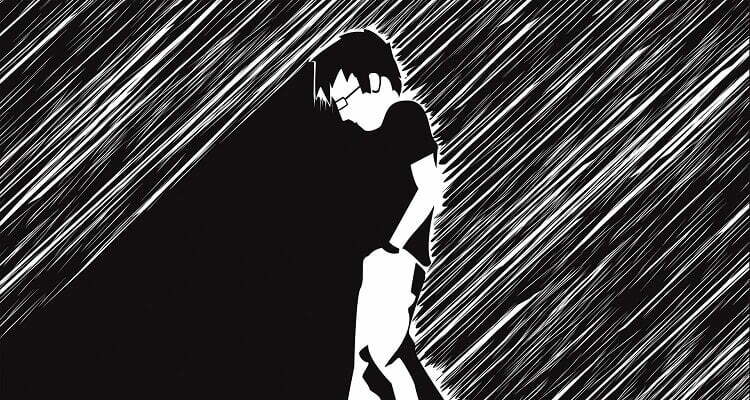 His depression led to a lot of problems and he soon became a victim of his depression. He gave away his will to die and ultimately committed suicide. His whole family died by committing suicide and some even tell that it is in his genes. Williams was also a Pulitzer award winning person and he was known for his talent. But soon after his Lover passed away, he became depressed and ultimately fell for the habit of drugs and alcohol abuse. A lot of efforts went in to de-toxicate him and bring him back to life but all those attempts went unfazed. Edgar was a person who was fascinated by the field of psychology. The study gave him immense pleasure and the way he wrote made people believe that he himself was a madman. He was also known for his hoax letter in which he mentioned about a wild thought of travelling in a balloon across the ocean. He was also an addict for alcohol and he had revealed in one of his works that he had always thought about committing suicide. Howard Hughes was a person who was known for his brilliance in whatever field he was working on. But a mental disorder was something that people thought that he would never have. He had the fear that he was being attacked by germs. The phobia was so severe that he even went to paralysis because if this problem. He went so mad that he used to create his own germ free zones in order to protect himself. John Nash was the character who was represented in the movie, A Beautiful Mind. He had delusions, hallucinations and schizophrenia as well. He was treated for all these symptoms and gradually recovered from this. He developed the Nash Equation and soon he went on to teach Math in Princeton University. Beethoven was a man who was known for his beautiful music and great compositions. He was beaten and exploited by his father when he was a young boy. Due to this, he had a Bipolar Disorder which was later treated for. He lost his hearing but still the passion for music drove him to do wonderful compositions. The man behind almost all the things that we think and do in our calculation in our day to day life is a master thought of this great man, Sir Isaac Newton. He developed the Laws of Motion, calculus and developed the theory of gravity. It was said that he man himself had invariable mood swings and he was even reported to be psychotic in behaviour. Though far from perfect as a person, his mind set him apart and he was regarded as one of the greatest personalities that the world had ever produced.